The 16th Annual World Tea Expo (#WorldTeaExpo or #WTE18), the leading tradeshow focused on advancing the business of tea, takes place June 12 - 14 in Las Vegas, Nev. at the Las Vegas Convention Center (with a pre-conference program June 10 - 11). The 2018 event features hundreds of new tea products, an in-depth educational program and several new additions, including The Kombucha Pavilion and a main stage featuring presentations from tea experts and authors. Registration and conference details are available at WorldTeaExpo.com (register early for the best rates). "This year's World Tea Expo is better than ever," said Samantha Hammer Mitchell, the World Tea Expo event director and World Tea brand leader. "The event features a main stage with hour-long talks from thought leaders, including Tyler Gage, Peter Keen and Katharine Burnett. We're launching The Kombucha Pavilion, so attendees can explore the latest product opportunities and take advantage of a fast-growing segment. Our educational sessions cover fresh topics with some content focused on key vertical markets. Plus, we have the return of World Tea Academy Live and a two-day Tea Processing Workshop, among many other highlights. World Tea Expo also offers plenty of opportunities to network with industry leaders from around the globe." Special Events Main Stage with Featured Presenters - Each day at World Tea Expo, a different speaker will share insights on the main stage. These talks will be followed by a meet-and-greet with each presenter. Tyler Gage, author of Fully Alive: Using the Lessons of the Amazon to Live Your Mission in Business and Life and co-founder of RUNA, will present "Tea Entrepreneurship: Growth and Navigating Your Business to Success." Peter Keen, author of Tea Tips and the forthcoming Tea Worlds and Heroines of Tea, will cover "Tea Heroines: Women Who Left a Thumbprint on History Through Tea." Katharine Burnett, Ph.D., founding director of the Global Tea Initiative for the Study of Tea Culture and Science, will discuss "Expanding the Understanding of Tea through a Global Perspective." Each presentation will take place from 1:30 - 2:30 p.m., June 12 - 14. The Kombucha Pavilion - This new area of the expo floor will be dedicated to the latest kombucha products, which has seen tremendous growth over the last several years. Kombucha is a fermented tea drink with functional benefits, and exhibitors will showcase the best new offerings. The Expo Floor - The exhibit hall will feature hundreds of new teas, tea wares, brewing accessories and related products and services. In addition, the expo will spotlight a New Business Launch Pad, an area of the show floor dedicated to up-and-coming tea ventures. Insightful Educational Sessions - Some of the 50+ sessions include: Who's Buying? A National Brand's View of the U.S. Premium Tea Consumer; Tea Entrepreneurship: Growth and Navigating Your Business to Success; How to Launch a Custom Tea Blending and Private Labeling Program; Data Driven Decisions to Optimize Your Tea Business; Tapping into the Health Benefits Inherent in Tea with Allowable Label Claims; A Tea Producer's Perspective on Sustainability of the Tea Industry; and Hospitality and Tea: How Your Tea Offering Distinguishes and Elevates Your Establishment. Pre-Conference Programs - Just before World Tea Expo kicks off, a two-day pre-conference program runs June 10 - 11. 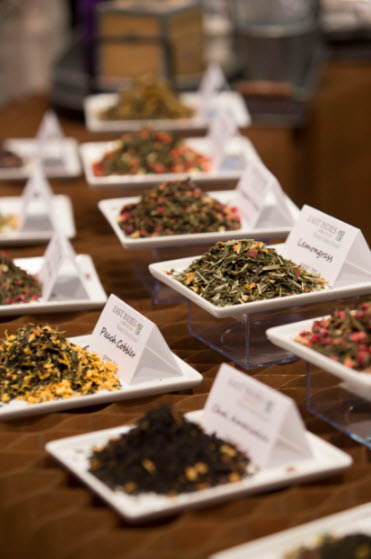 The pre-conference agenda includes World Tea Academy Live and Tea Business Boot Camp. World Tea Academy Live is a joint relationship between World Tea Academy, Hula Consulting and Firedancer Coffee Consultants. This program is designed for intermediate tea and coffee professionals looking to take their tea training to the next level. The Tea Business Boot Camp is an intensive, hands-on program that covers critical topics facing the tea entrepreneur. World Tea Awards - This special event (open to all World Tea Expo attendees) honors some of the best and brightest from the tea industry. The program recognizes new products from among the many exhibitors, as well as tea luminaries who are shaping the industry. Some of the categories from past years have included Best Tea Industry Innovation, Best Specialty Tea Brand and Best Tea Health Advocate, among others. The John Harney Lifetime Achievement Award will also be presented to a person who has shown significant support of the tea industry's growth, innovation and education. Global Tea Championship Winners Tasting Circle - This is an opportunity for World Tea Expo attendees to taste Global Tea Championship medal-winning teas. The Global Tea Championship is an independent competition that evaluates and distinguishes the highest quality and best tasting specialty teas. Origins Tasting Tour - This interactive and educational "tour" covers some of the most important tea growing regions in the world, including: China, India, Sri Lanka, Japan, Taiwan, Kenya and Colombia. Tea author and expert Jane Pettigrew will emcee the program, and each region will be presented by a different tea industry leader. Tea Processing: A Hands-on Experiential Lab - In this two-day session, attendees' basic understanding of how tea is made will be taken to an entirely new level through hands-on experience. Delegates will participate in the process of transforming several pounds of raw tea leaf material into white, green, yellow, oolong and black teas. First-ever Spanish Session at World Tea Expo - Presented by Omarly Alcina Fernandez, founder and manager of Kepen Corporation, "Table for Tea! Giving Tea the Perfect Place in the Restaurant" will be World Tea Expo's first-ever session presented in Spanish (and available in English on the screen). World Tea Expo 2018 sponsors include: International Tea Importers, ITO EN, QTrade Teas & Herbs, Bitaco Unique Colombian Tea, Dethlefsen & Balk, DMH Ingredients, FloraPharm, Haelssen & Lyon, Roobios Limited, Finum, Martin Bauer Group, The Tea Spot, TQY Trading Company and Walters Bay.